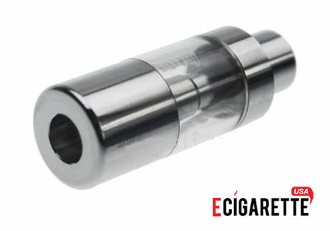 The Kamry K1000 Clearomizer is a great top-feeding clearomizer made of stainless steel with a tank made of durable plastic that will keep you vaping for hours. This clearomizer will give you mouthfuls of tasty vapor and is also rebuildable. This means that you are able to replace the coil heads (wicks) instead of having to replace the entire clearomizer; making it both time and cost effective.